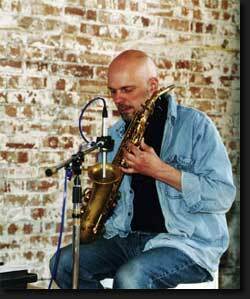 Graham Halliwell plays saxophone, amplified saxophone and feedback saxophone. He recorded and performed with artists as diverse as Evan Parker, Max Eastley, Rhodri Davies, Matt Davis, Mark Wastell, Taku Unami, Bernhard Günther, Richard Chartier, Simon Fell and Simon Vincent, Tomas Korber, Lee Patterson, etc …. He was also a member of +minus. His primary influences are the music and writing of Morton Feldman, the experimentation of Alvin Lucier and Eliane Radigue, and the visual art of the American Abstract Expressionists. Recordings of Graham Halliwell are available on Absurd, Erstwhile, Trente Oiseaux, Esquilo, Another Timbre, Cathnor, Confront, Sonic Arts Network and Bruce’s Fingers.